From #1 New York Times bestselling author comes a heartwarming, inspirational book to help readers understand their lives as one continuous, never-ending story, part of a grand narrative that God is writing day by day. With chapters that cover the importance of literary elements such as characters, setting, backstory, and conflict, Debbie Macomber uses the structure of a story to illustrate God’s hand in our lives. Each chapter has a storytelling prompt—a searching question that will help frame our story—and a sidebar that pulls an idea out of the chapter and expands it with practical tips. Once Upon a Time shares Debbie’s love of story and helps showcase the big picture of the story God is writing through us. This reading group guide for Once Upon a Time includes an introduction, discussion questions, ideas for enhancing your book club, and a Q&A with author Debbie Macomber. The suggested questions are intended to help your reading group find new and interesting angles and topics for your discussion. We hope that these ideas will enrich your conversation and increase your enjoyment of the book. 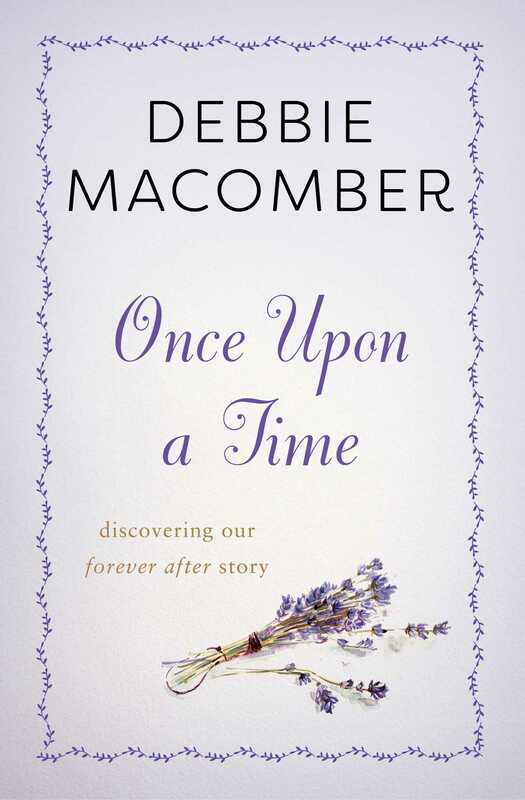 In Once Upon a Time: Discovering Our Forever After Story, bestselling author Debbie Macomber explains to readers that all of our lives are part of God’s grand narrative, a never-ending story that He writes for us each and every day. 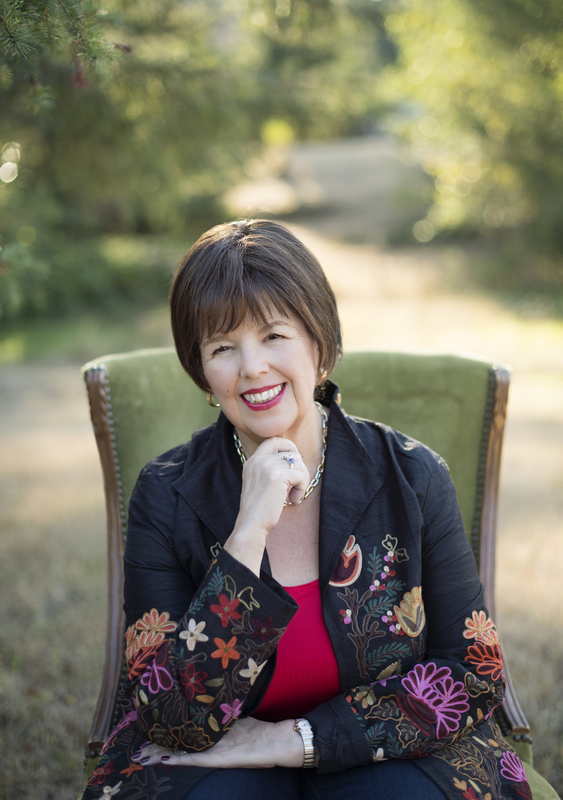 Using the metaphor of storytelling—and giving some insight into her own writing process along the way—Debbie Macomber teaches readers the value of examining one’s own life in order to understand God’s loving presence. Once Upon a Time helps readers answer the questions Who am I? Who am I called to be? —and leaves us with some practical advice for discovering our own story as Debbie Macomber shares her incredible journey. 1. Discuss the significance of the title—Once Upon a Time. How does the title indicate the direction this book will take? Why does the author love the phrase “once upon a time” so much? What feeling(s) does the phrase give you? 2. On page 5 the author writes: “I was born to be a storyteller.” What do you think God has called you to be? How do you know, and at what age did you discover your calling? 3. Throughout the story, the author quotes many famous authors discussing their craft. On page 9, for example, she quotes American fiction writer, journalist, and essayist Joan Didion: “Had I been blessed with even limited access to my own mind, there would have been no reason to write. I write entirely to find out what I am thinking, what I am looking at, what it means.” Do you think this same quote can be applied to faith—that we need faith in order to understand ourselves, our world, and the deeper meaning of both? 4. Much of Once Upon a Time discusses the need to “live intentionally.” What does it mean to you to live with intention? In addition to writing down our story, what else can we do to live intentionally each day? 5. At the end of Chapter 1, the author quotes Deuteronomy 4:9: “Only be careful, and watch yourselves closely so that you do not forget the things your eyes have seen or let them fade from your heart as long as you live. Teach them to your children and to their children after them.” In light of this quote, discuss with your group the importance of memory. Why do we cherish our memories? What memories do you hold most dear, and why? 6. For the author, the moment that she realized her future was during a visit to a library. When did that “one moment in childhood when the door opens and lets the future in” (25) occur for you? Describe where you were, who you were with, and what you were doing in that moment. 7. Reread the description of the importance of names in the Bible, beginning on page 53. Afterwards, share the meaning of your own name with your group. How does the meaning of your name reflect the person you are or the person you are called to be? 8. On page 74, the author poses an important question: “If there wasn’t a single obstacle blocking your path, what would you be doing?” Spend some quiet reflection time individually pondering this question. Then share with your group your answer(s). What is it that you want for your life above all else? 9. Chapter 8 is all about treasures—physical and otherwise. Just as characters in novels have treasures or artifacts meant to symbolize something important about who they are and where they have come from, so do we fill our homes with items that speak to some aspect of our core selves. Have a show-and-tell with your group, selecting an item in your house that best symbolizes something about you. Share the item and tell why it is so important to your story. 10. “As iron sharpens iron, so one person sharpens another” (Proverbs 27:17). Discuss a relationship in your life that has shaped who you are today. What relationship do you think the author felt most shaped her? 11. Conflict is part of any good story—and certainly part of our lives. “Where there is potential conflict, there is potential for great growth” (147), writes Debbie Macomber. Do you agree? Think back to a time of conflict in your life. How did you grow as a result of this conflict? 12. Revisit the moment when the author shares the story of her son Dale’s death, beginning on page 159. How does she find the strength to continue with her life and her writing after such an event? 13. What would you name as the major theme of this book? Why do you think that the author, Debbie Macomber, feels so strongly that her readers should share their story? 1. At the end of each chapter, Once Upon a Time offers storytelling prompts for sharing your story. Over dinner, participate in the ancient tradition of oral storytelling. Choose one or two prompts and share with your group. Afterwards, discuss with your group any surprises or insights you learned about the membersm of your book club. What did these stories teach you about your friends—and yourself? 2. Follow Debbie Macomber’s advice and write your own story. Start a journal or a scrapbook—whichever you prefer—and try to write or create one entry per day for an entire year. It can be one line or one photo, or a longer entry, but be sure to capture the details of your everyday life. What lessons did you learn about yourself ? Did anything surprise you? 4. Can’t get enough of Debbie Macomber? Try reading some of her fiction with your book club, such as the Cedar Cove series. What are similar themes you find in both her fiction and nonfiction? Discuss why you find writing to be such an apt way to share life lessons. What is it about writing that seems to help us chart our lives? Do you think we turn to literature to find a reflection of ourselves? As any writer will tell you, we are primary storytellers, and it is through story that we share ourselves and life. Very little in life happens to me that doesn’t somehow, some way turn up in a book. For me it’s how I process life, how God has wired me. I believe that stories that resonate most with us are the ones in which we see ourselves. When people ask me what I write I generally respond by saying I write popular fiction slice of life. What gains me readers is the fact that my slice of life often resembles their own. In Once Upon a Time, you will find several instances in which I parallel what has happened in my own life to what took place within a story. You begin Once Upon a Time with a story about visiting a library for the first time as a little girl. Did your early experiences with books change your life? God planted a love of story in me from the moment I was handed my first book. Even then He knew what I didn’t—that one day I would write books of my own. While I struggled to read, while words and sounds battled within my brain, that day in the library, that first book in my hands that I pressed against my heart, would be a life-altering event for me. Throughout Once Upon a Time, you quote famous writers who have influenced you in some way or whom you admire. If you had to name just one writer as your influence, who would it be and why? Oh my, you ask the impossible. One name that comes to mind is Catherine Marshall. I devoured her book Christy. I have her autograph in my office along with her husband Peter’s. But equally compelling is her nonfiction work. Although Catherine and I have never met I would like to consider her a mentor. What would you name as the major theme(s) of this book? What do you hope your readers will take away from it? My objective in writing this book was to help us be aware that we are each writing our own stories, the story of our lives. The choices we make have consequences and often those consequences have far-reaching results. My goal is for us all to live with intention. It’s far too easy to drift from one day to the next, putting in our time at work, collecting our paycheck, caught on the treadmill of meritocracy. Our lives are an incredible, wonderful story that needs to be recognized and lived to the fullest. You urge readers to examine their backstory—the good and the bad, the beautiful and the ugly. Why do you see both positive and negative experiences as worthy of exploration? The good, the happy unexpected joys in life teach us gratitude. It makes us want to toss our arms in the air and shout, “Thank you, God.” But there are parts of our lives that we would all rather leave buried and hidden from view, properly concealed. They too have their lessons. Life is filled with consequences, learning lessons—and often the more painful the lesson, the more profound the lesson...if we learn from it. Describe your morning ritual of reading the Bible. Do you read in any particular order? Do you sit down to write before or after your Bible reading exercise? I’ve read the Bible from beginning to end for more years than I can count now, following Bruce Wilkinson’s Walk Thru the Bible reading program, which starts in Genesis and ends with Revelation. What I enjoy about his approach is that every seven to ten days there’s a day to reflect on what I’ve been reading. For the last three years I’ve been choosing one grandchild and making notes to him or her along the margins of that Bible and praying for that child every day. It’s filled with what I feel God is sharing with me that particular day. At the end of each of the sixty-six books, I write the grandchild I’ve chosen for that year an extended note. Then on December 31, I give that grandchild the Bible that I have been working on all year. I do my journal writing, write out my prayers, and fill in my gratitude journal after my Bible reading. In Chapter 11 you talk about the importance of mentors in the story of our lives. You mention in particular your aunt Betty Stierwalt as a “wise woman” (125) in your life. As a female writer, is it important to you to consider the women in your life who have been of particular influence? We all have mentors. What’s important is that we recognize who they are, thank God for them, and give them the honor and respect that is their due. Over the course of my life and really for all of us, God has brought special people who guide, counsel, and instruct us.